There are literally millions of car accidents that happen every year in the United States. No one is exempt from these car accidents either. On average, Americans will be in one accident about once every 17 years, meaning that most Americans will be involved in an accident in some way about four times in their lifetime. And every year, insurance agencies spend millions of dollars investigating these claims to ensure that these accidents are legitimate, reported injuries are truly related, and vehicle damage claims are not fraudulent. The sad reality is that too many times, individuals try to scam the system and blame others for car accidents through fraudulent claims and staged accidents. Insurance companies realize this and spend significant resources to crack down on accident claims, but unfortunately, too many cases still slip through the cracks. 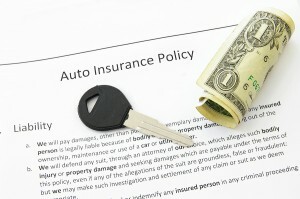 Insurance companies classify these types of accident scams into two groups: soft fraud and hard fraud claims. Soft fraud claims are very common, and usually involve exaggerated injuries stemming from real accidents OR past injuries connected unrelated auto accidents. Hard fraud claims revolve around staged accidents that result in real or fake injuries. Those involved in hard fraud claims can face civil and criminal charges. No matter how significant the false accident claims are, if you are targeted as the at fault party, you need to be prepared and your legal rights must be protected. Unfortunately, fraudulent claims can’t be prevented, but you don’t have to become the targeted victim. Don’t let a scam artist’s lowly and deceitful actions cost you money, time, and a good driving reputation. Fortunately though, you can take steps to protect yourself from being taken advantage of by a car accident scam artist. Call police immediately. Be sure that the police are there to file an official report and detail all aspects of the accident. Call your insurance company. Your insurance agency will want to send an agent out to investigate the scene to ensure all protocol and claims are handled properly. Contact your attorney. If someone is accusing you of causing an accident, you do have legal rights. Your attorney will work tirelessly to ensure you aren’t wrongfully blamed for accidents or injuries that were not your doing. Take pictures of everything at the accident scene. With technology advances, taking photos of the accident scene is always within reach. Take pictures of all vehicle damage, the street, and any other relevant details. Talk with witnesses and get statements. Witnesses may be able to help corroborate your story if another individual tries to fake injuries or stage an accident. Witness statements can be extremely helpful for police reports and insurance company inquiries. Don’t admit fault. State the facts and that’s it. Even if you did contribute to the accident in some way, don’t ever admit fault. Take note of the other driver’s physical condition. Pay attention to the other driver’s behavior and/or possible injuries. How do they move around after the accident? Pay attention because the other driver may try to exaggerate their injuries in the days or weeks following the accident. As a Toledo traffic lawyer representing clients throughout Toledo and Northwest Ohio, I have years of experience helping individuals facing traffic offense charges receive the best possible outcomes for their cases. If you’ve been unfairly charged for a motor vehicle accident that was outside of your control, you deserve to have someone on your side to defend your rights. To learn more about staged car accidents, or your legal rights when faced with a traffic offense, contact my Toledo law office today.